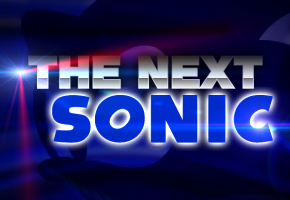 Further clarification was given last week on alleged details of two new Sonic titles for 2011 by attendees of Gamefest 2010 in Madrid who allegedly confirmed the titles directly with representatives of Sega’s Spanish division. This ca,e after a major European gaming news source published a story that, in effect, quashed the validity of anything Sonic related as nothing but wild rumors. It turns out the Spanish person quoted in the original post (and she was called a “he” in there…) did not even attend this event.So we can’t comment on this one. It’s really weird speculation based on the fact that there are Olympics in London (surprise, surprise) and Sonic has its 20th anniversary next year. We didn’t speak to Izaskun Urretabizkaia, we spoke to a guy whose name is still unknown. [….] It was not, as Izaskun is a woman, and we talked with a man. Later on, we actually talked to Izaskun Urretabizkaia, only to further confirm the game, by error. Related, Ms. Urretabizkaia did update her LinkedIn profile recently, and it appears she remains employed by Sega despite what one would think is a very serious gaffe. She also listed in more detail her past at Electronic Arts, and in fact deleted a second account she held that exclusively concerned her tenure at EA. As it turns out, Urretabizkaia’s industry experience goes back to 1998, so if nothing else, we are now fully aware that this is a real person. With a flurry of side stories supporting the main idea, something is clearly up. We hope to get our first taste of what that is Friday, the day website Platform Nation teased to reveal a Sega related sequel. We’ll be watching and waiting, and we hope you’ll be too.